The sneaker culture takes a huge hit today, as Nike unveiled its plans to completely revamp the way future releases are distributed. 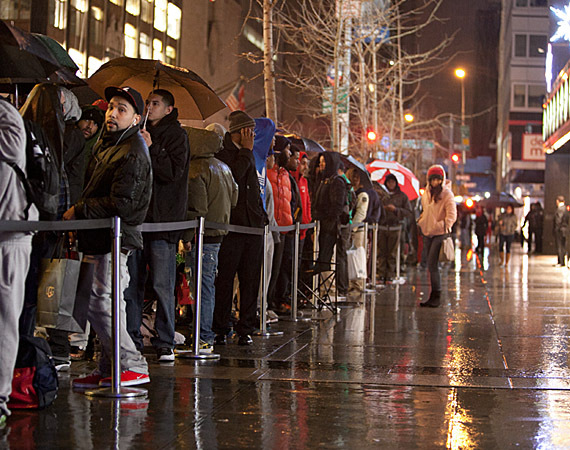 Days after announcing the ban of in-store midnight releases, hopeful sneakerheads will now have to wait online instead of in line. Nike will begin to utilize Twitter as a means for RSVP-ing your favorite shoe. This comes in light of the recent, negative media attention sneaker releases have been getting, from the hectic release of the Jordan XI “Concords” to the “Galaxy” Foamposites.